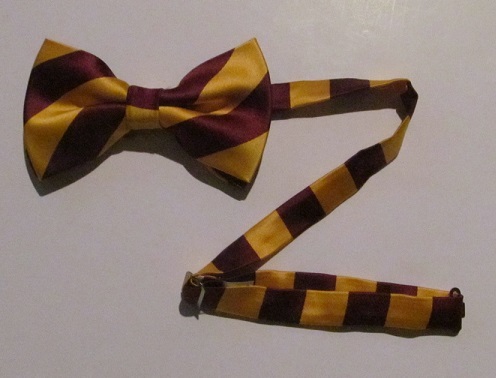 Get that "Dapper" Kappa League look with these burgundy and gold striped bowties. They are pre-tied and adjustable. Looks great with any of our Kappa League Sweaters.